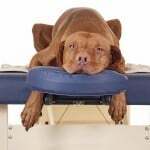 While animal massage is gaining recognition, there is still a huge misconception about massage therapy for animals, many think that it is just another foofy spa service for overly pampered dogs in diamond collars and designer boots. There are many reasons for your pet to make an appointment with an animal massage therapist. Massage brings the same health benefits to animals as it does to us humans; it helps to reduce stress, increase flexibility and movement, enhance circulation, and contributes to the overall ability of the body to function properly. If you have received a massage yourself, you know the feeling of wellbeing, relaxation and rejuvenation you feel afterwards – it’s the same for animals. And when your pet is recovering from an injury, or after surgery, massage can be a tremendous help in getting the body back to “it’s old self”. And it’s not just the site of the injury that suffers in these situations; the body will compensate for pain felt in one area by transferring body weight to a different area, creating stress and tension in that area. For example, if a dog has an injury to a back leg, the muscles in his shoulders and front legs will be sore and tight from taking on increased body weight to compensate for the injured back leg, so in order to restore full mobility, it is important to address those areas as well . 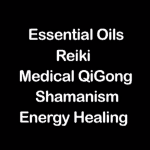 The whole body is also joined together by connective tissue, so massaging one area of the body will have a positive effect all over. 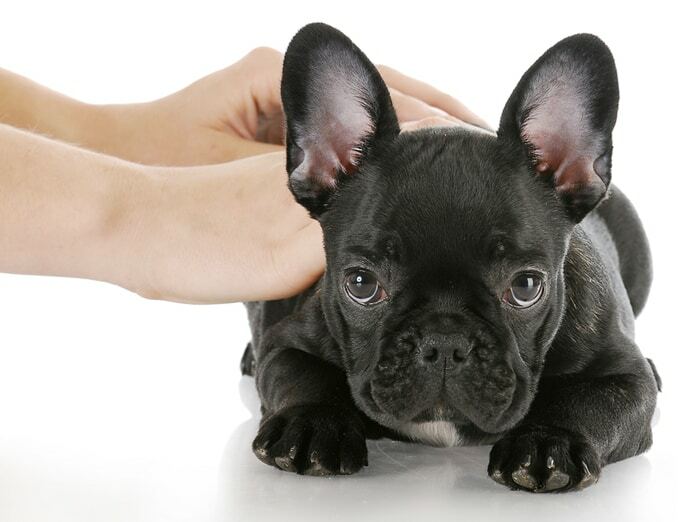 Massaging young puppies gets them used to positive human touch, and it is a wonderful way of socializing them. Since bones grow at the ends near the joints, growing puppies benefit from regular massage around the joints as well as along the limbs. Massage will also help prevent sprains and strains by lengthening and toning muscles, tendons and ligaments. Sporting dogs benefit from both pre-event and post-event massage. Pre-event massage helps with warm-up and is done with a slightly faster rhythm to enhance blood flow to the muscles, reduce muscle tension, and get the whole system revved up. Enhanced blood flow increases oxygen delivery to the tissues, helping to prevent muscle injuries. Post-event massage is done with a slower rhythm to loosen the muscles and joints and calm the whole system down. It will help prevent stiffness and sore muscles by flushing out the toxins that may become trapped in the tissue during vigorous exercise. Working dogs such as search & rescue, assistance, therapy and police dogs are under a lot of pressure in their daily lives. Massage will help relieve the stress while soothing tired muscles after a long day on the job. Older dogs often suffer from problems such as arthritis, stiffness, and other joint problems. 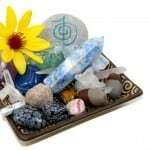 Massage is a gentle and effective way to ease muscle tension and decrease stiffness. It will also help to increase muscle tone, circulation and flexibility in less active dogs. Everybody benefits from regular “health maintenance” massage. Just as in people, massage helps to reduce stress, increase flexibility and movement, enhance circulation, and contributes to the overall ability of the body to function properly. Note: I have used dogs as an example here, but massage benefits all animals. To learn more and see how massage has helped animals with a variety of health issues, check out our case studies and more on animal massage. If you want to learn how to massage your own pets, take a look in our directory of classes and workshops. Thank you for your information but we should know that animal massage is covered under veterinary licensing laws. So we should check with local laws before beginning a practice.